I love a good rummage in the charity shops, but recently have struggled to find wonderful stuff like many other bloggers do (maybe I just don’t live in the right place, American thrift stores seem to produce much better goodies than my local charity shops). 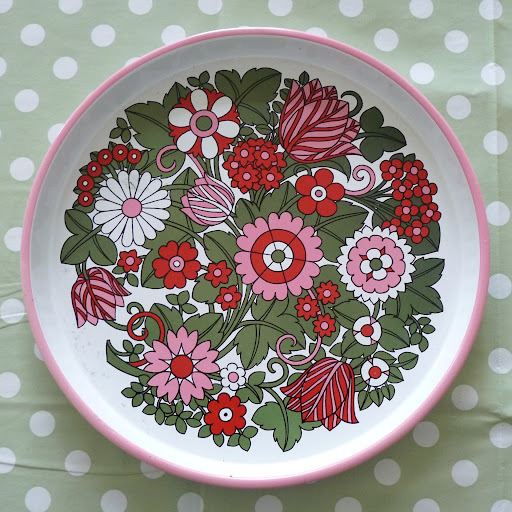 But I have found something that I love……..just because it’s beautiful and it was only 50p!! Many of my previous charity bargains have been clothes for Niblet, I found lots of good stuff for him when we were on holiday in Montrose in summer 2010. The charity shops there are great. They are also of a better class down in Surrey, near ‘the outlaws’. I regularly pick up old books at charity shops, even my local ones. I am trying to find all the old Peter & Jane Ladybird books, but the ‘c’ books a hard to find because they’ve often already been written in. Some I just like for the illustrations. I will post more about these when I can round some up. But I rarely, make that never, find clothes for me. Not like Jess at Craftiness is Not Optional with her ‘outfit a day’ posts, she seems to have so much cool stuff that she thrifted. Everything in sizes above 14 seems to have come from grannies, and I just don’t seem to have the eye to be able to find anything to transform into another outfit for me, not like these clever people. I have tons of clothing that I have picked up solely for the material. I intended to make bags/purses for gifts/to sell, but I just have a large box or 2 of clothing languishing in the depths of stuff!! I really need to get my act together. Maybe I’ll actually have something to post on making from the charity clothes sometime this year!! This entry was posted in Uncategorized and tagged charity shops. Bookmark the permalink.